Experience all Colorado Springs has to offer and help Children’s Miracle Network Hospitals (CMN Hospitals) at the same time! Register for exhilarating, active, or more leisurely activities! A portion of the activity fee goes to benefit CMN Hospitals, the charity of choice for CO-OP and the credit union industry, fundraising under the Credit Unions for Kids® umbrella. CMN Hospitals treats millions of children at 170 hospitals across the United States and Canada. Donations support research and training, purchase equipment, and pay for uncompensated care, all to save and improve the lives of as many children as possible. The West Course plays tighter off the tee, with more heavily tree-lined holes than the East Course, and also gives players an array of spectacular approach shots. Don’t let the stunning mountain views distract you; our West Course may look like a postcard, but it offers a very challenging and rewarding round of golf. A combination of the original 1918 Donald Ross design and the Robert Trent Jones, Sr. 1964 design, the West Course offers our guests a challenging course with spectacular views. Holes 7-14 – Robert Trent Jones, Sr. The West Course was the host site of the 1998 PGA Cup Matches. 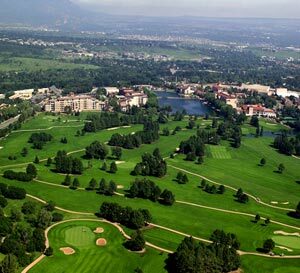 For guests staying at the Broadmoor who would like to ship golf clubs ahead of them, they can be sent to Broadmoor Hotel, 15 Lake Circle, Colorado Springs, CO 80906 Attention: Your Reservation Name. Please be sure to attach your name to the golf clubs. One of the most popular tours you can take is an unforgettable trip to the 14,115-foot summit of Pikes Peak! 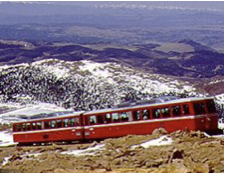 Sit back, relax and take in the splendors of Colorado as the highest cog railway in the world takes you through hidden valleys, past groves of quaking aspens and over the tundra at timberline. Once on the summit, you will see the same unparalleled vistas which inspired Katherine Lee Bates to write America the Beautiful! 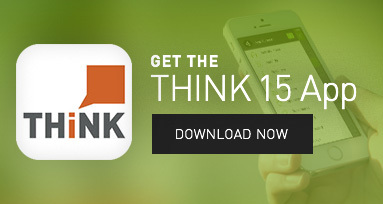 An exclusive culinary experience is available at THINK for a limited amount of discerning diners. The Broadmoor’s elegant Penrose Room, under the direction of acclaimed Executive Chef Bertrand Bouquin, is Colorado’s only Five Star, Five Diamond restaurant. You will see how a five-star kitchen is set up, and receive expert instruction and guidance as you prepare a delicious lunch of: Housemade Gravlox, Filet Mignon, and Pot de Crème. This delicious and fun group experience will be held in the Penrose Room and is limited to 30 participants. On Friday, May 8 we encourage attendees to wear jeans to help raise funds for the local Children’s Miracle Network Hospital. We hope you’ll join us by making a $5 donation to help make a difference (cash or credit cards will be accepted). 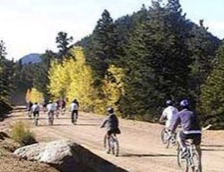 Mountain biking on lower Gold Camp Road offers the perfect adventure that allows you to capture the incredible scenery spread out below, including Cheyenne Canyon and Garden of the Gods, with your camera. This is a perfect adventure for both beginner and intermediate level riders. Beverages and a trail snack will be served at the conclusion of the ride. * Minimum of 15 signed up for this activity or it will be subject to Cancellation. 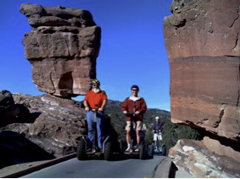 Over the course of a three-hour excursion, you will experience the fun and versatility of riding a Segway. Tours are through the awe-inspiring Garden of the Gods, where millennia-old rock formations stretch toward the blue Colorado sky. Segways are battery-powered and have less environmental impact than a golf cart, so riding a Segway is not only fun, it’s green, too! Adrenaline meets beauty on this high-flying adventure! The 7-line course allows you to soar over canyons in a rush unmatched by any other activity. The combination of speed and spectacular vistas is unbeatable! Note: Children must be at least 6 years old and weigh at least 70 lbs. There is a 250 lb. weight limit for any participant.